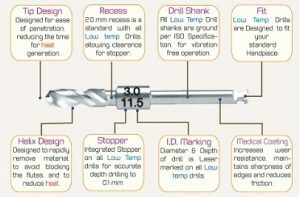 Osseo Scientific LLC has added a collection of low temperature osteotomy drills to their product line. They claim that the unique design allows for lower force osseous penetration and therefore less heat generation. They display an interesting temperature graph as evidence of this. ZiUnite ™ – Nobel`s new Zirconium Implant Surface?